3.9 out of 5 based on 53 bloggers and 2 commenters. This template includes a logo in format .PSD, you can use a open source program to edit it, e.g. Gimp. 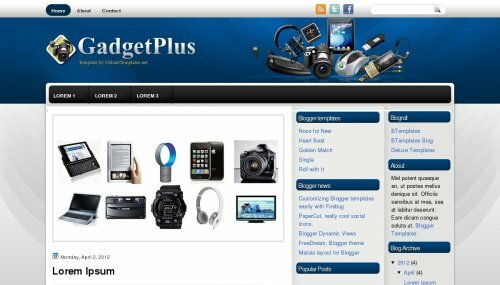 GadgetPlus is a free blogger template with 3 columns, right sidebar, rounded corners, slider and social bookmarking icons. Excellent template for blogs about computers, games or news. There is no demo, right? I want to watch it?